Thank you to the makers of #Intelliarmor for sponsoring this post. 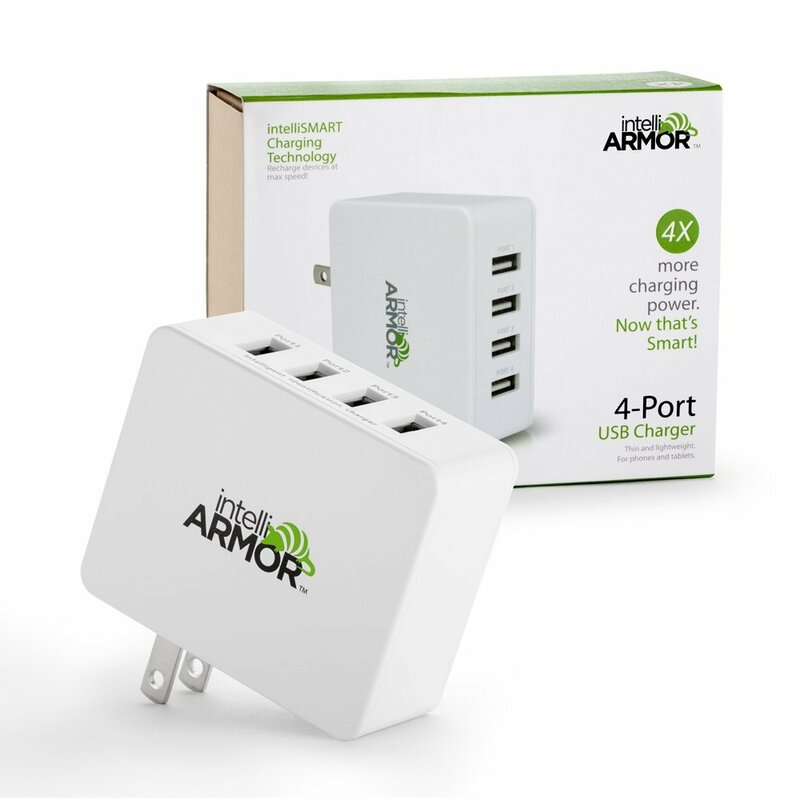 Space saving is the key when you have limited space, Intelliarmor quickly charges up to four different gadgets at one time. When we gave this a test drive we were excited to see that our phones did charge much quicker. We can charge tables, Ipods and phones with one simple system. intelliSMART charging technology determines the need of any attached device and adjusts power for a fast an efficient charge. SPACE SAVING: Compact design lets you power all your devices whether at home or on the go. ULTRA FLEXIBLE: Simultaneously charge smartphones, tablets, Fitbits, cameras, or anything that uses a USB port. DEPENDABLE DESIGN: lightweight, compact and easily portable. Fits in the palm of your hand and perfect for travel. Backed by renowned intelliARMOR customer service ready to respond within. 30-Day Money Back Guarantee, Lifetime Warranty and Hassle Free support. Check this out on Amazon and if you have Amazon Prime you can have it 2 day shipping for free!